Seems like it’s official. Internet access has reached its peak. Virtually everyone who wants/needs/can use/can afford the connection of their choice has it. Now it’s just a matter of churn and upgrades and competing platforms. 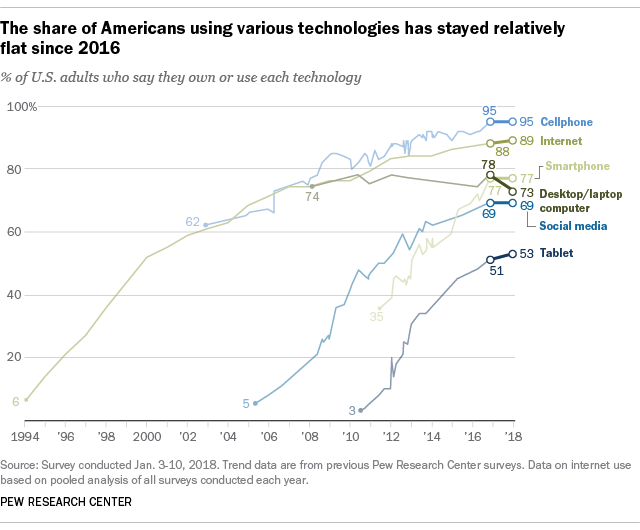 Some are saying access is so ubiquitous it’s time to stop wondering if people “use the Internet” because it’s like “using electricity.” Interesting times we live in. 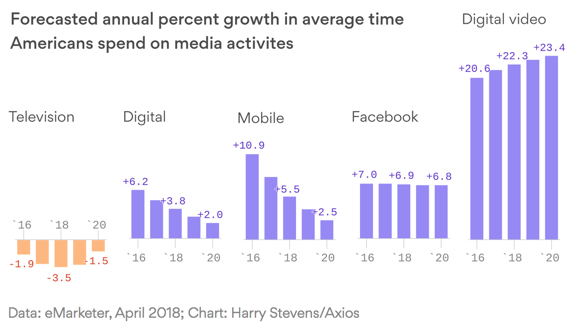 Data courtesy eMarketer, April 2018. Chart courtesy Axios October 2018.